What is it about mobile games featuring flying birds tat make them so addictive? First there was Angry Birds, the game everyone had to have on their phone. Then came Flappy Bird, which caused a ruckus earlier this year when developer Nguyen Dong removed the popular game from the app stores. 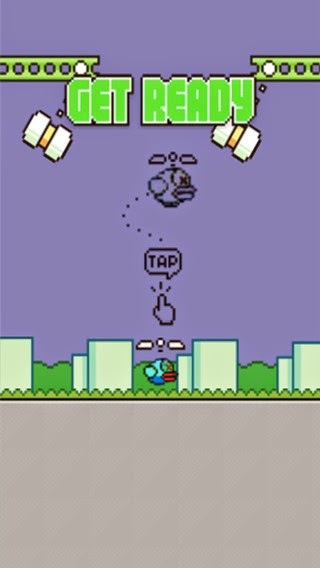 Now comes Choppa Bird, a game that it's creator says features "the dead soul of Flappy Bird." Like its ancestor, Choppa Bird is a side-scrolling game in which players tap the screen to make Choppa Bird move up or down to avoid increasingly difficult obstacles. Fans of Nintendo's early Mario Brothers games will appreciate the landscapes and players who liked the difficulty posed by Flappy Bird will find Choppa Bird even more challenging. The game is currently available for free for iOS devices in the Apple iTunes Store and will be arriving soon for Androids.